Welcome to the Media Gallery. 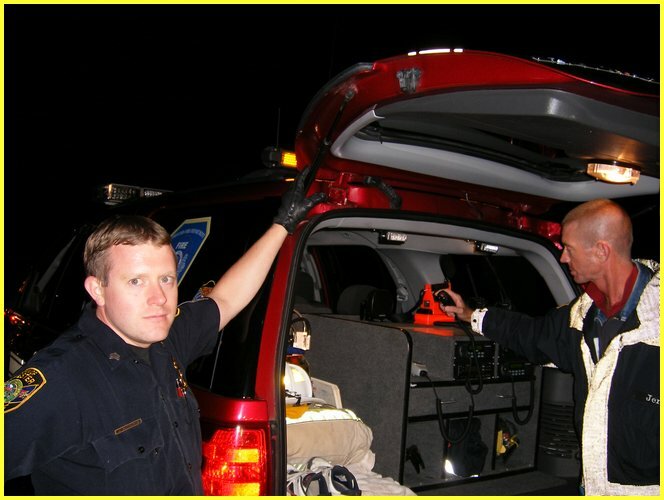 This gallery will show photos and videos involving members, trainings, fire-related photographs, and other items of interest involving our membership and organization. Please submit photos or videos with a brief description for consideration in this portion of the site. The reported fire on Sugar Loaf Mountain was actually a brush fire that extended into a near-by structure. 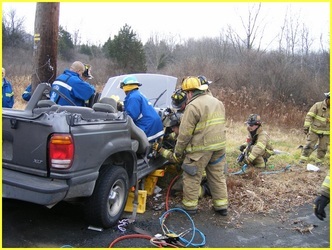 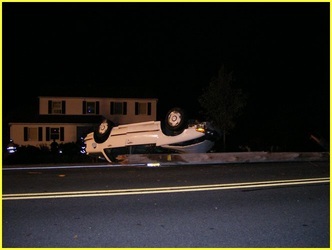 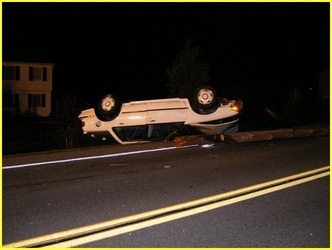 This motor vehicle accident involved a single victim extrication after an SUV sideswiped a utility pole. 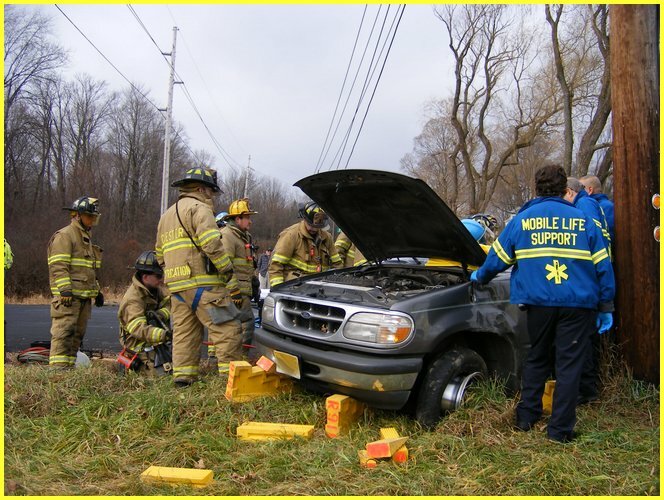 All three companies were on hand for the extrication, hazard mitigation and fire prevention. 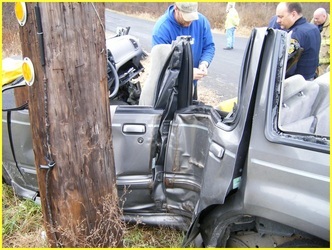 The first vehicle hit a utility pole and sheared it off two feet from the ground. 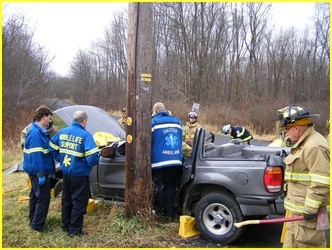 The second vehicle ran over the pole "stump" and ripped open its fuel tank. 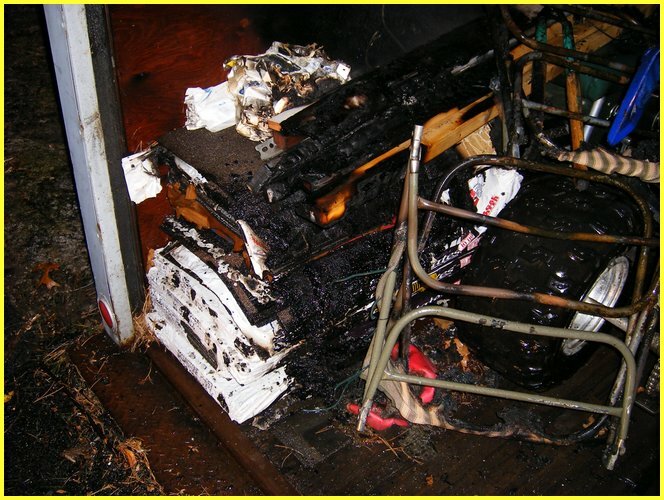 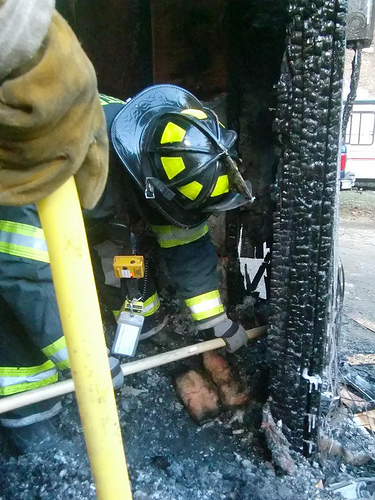 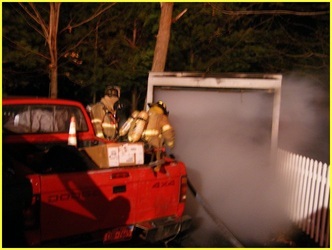 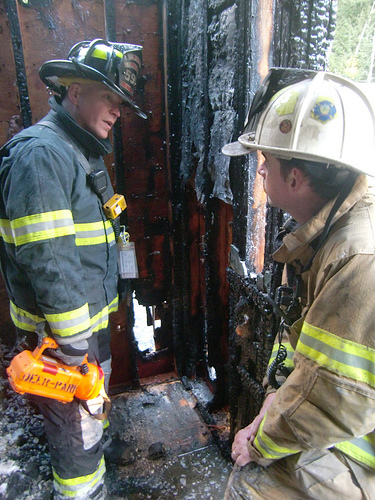 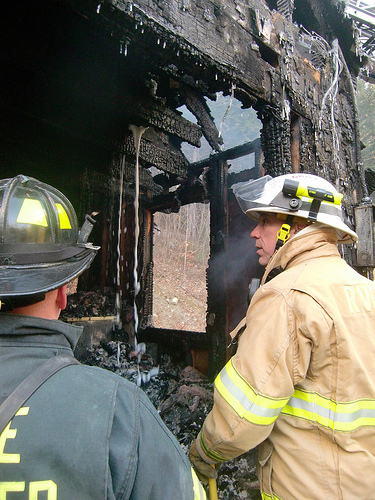 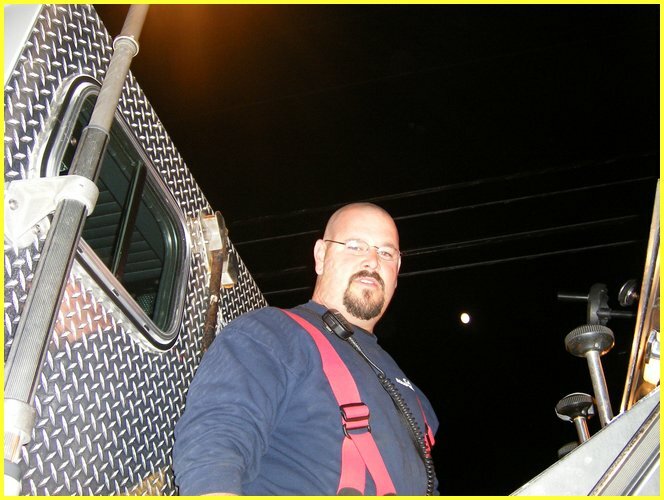 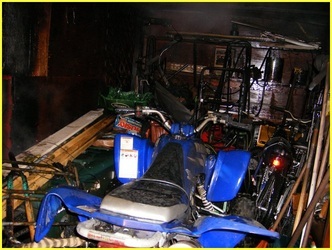 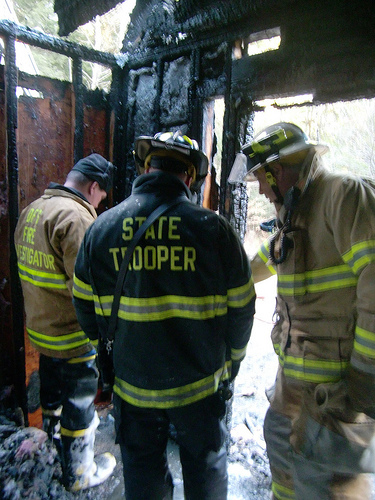 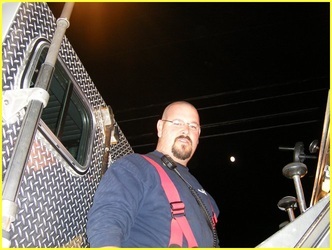 Under the command of Fire Chief Ray Stapleton, West Wethersfield fire fighters fought a November 20, 2008 fire that is pictured below being investigated by Vermont State Police Fire Investigator Sgt. 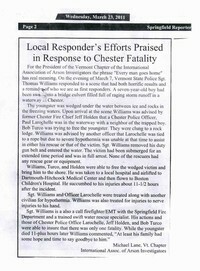 Thomas Williams and Chief Stapleton. The fire is suspected to be the result of an electrical failure in a wall of the residence. 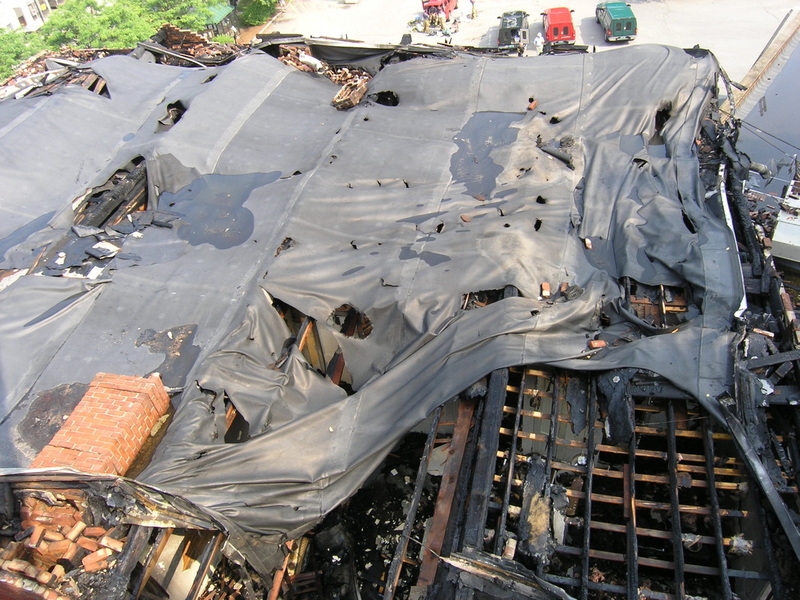 On June 8th, 2008 in Springfield, VT. a five-alarm fire caused extensive damage to the Ellis Block Building. 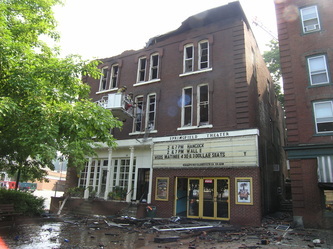 At the time, the building housed sixteen apartments, a hair salon, and the Springfield Movie Theatre. 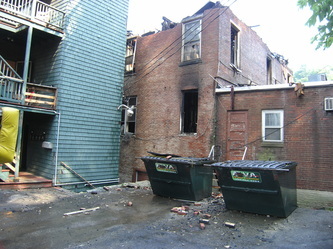 The investigation by Vermont State Police, Fire Safety, and Springfield PD found a disgruntled tenant had started the fire in the rear of the building.